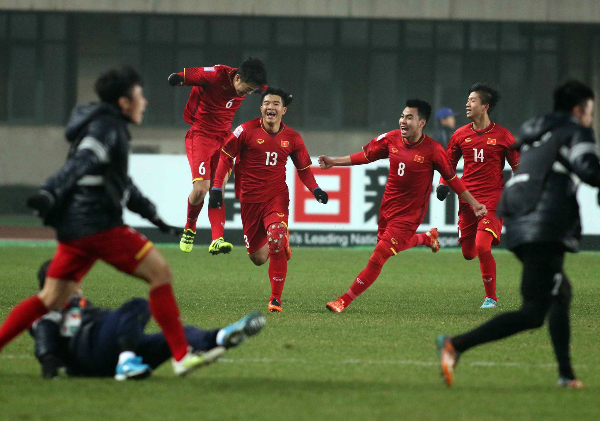 Vietnamese players celebrate during the quarterfinal match against Iraq on January 20, 2018. 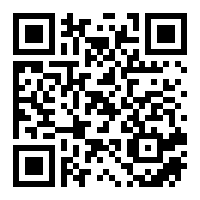 Photo by VnExpress/Anh Khoa. 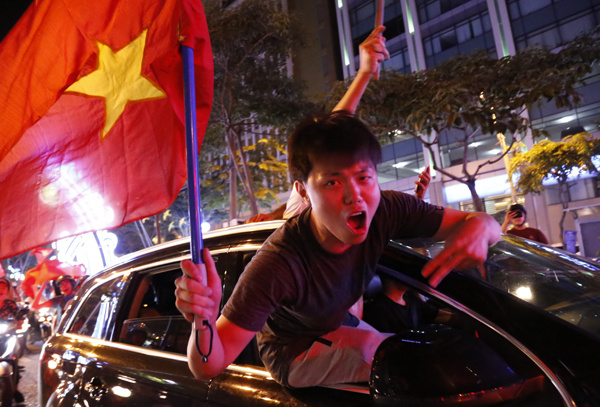 Football fans have gone wild after Vietnam's dramatic 5-3 penalty shootout win over Iraq. 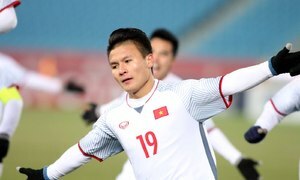 Vietnam's national U23 football team qualified for the semifinals of the AFC U23 Championship on Saturday thanks to a dramatic victory over Iraq. Against the former champion, Vietnam was considered the underdog but surprisingly took the lead with an early goal. Iraq equalized with a successful penalty later in the first half, and a goalless second half brought the two teams to extra time, which saw each team score twice. 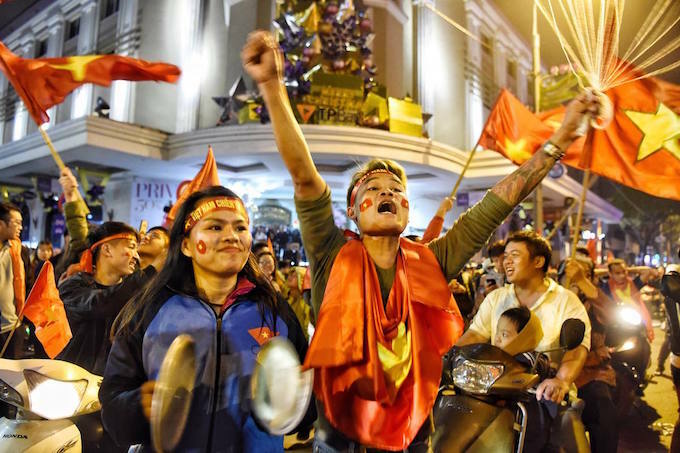 Vietnam finally emerged victorious in the resulting penalty shootout after successfully converting all five sot kicks after Iraq had its first penalty saved. In the remaining quarterfinal matches, Qatar beat Palestine 3-2 while Uzbekistan won 4-0 against reigning champion Japan and South Korea eliminated Malaysia with a 2-1 victory. Vietnam will face Qatar in the semifinals next Tuesday, while Uzbekistan will take on South Korea. This is the first time a Southeast Asian team has reached the semifinals in the history of the competition. 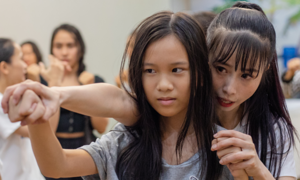 Earlier, Vietnam also became the first Southeast Asian team to achieve a group stage victory by defeating Australia, and one of the first teams from the region to reach the quarterfinals together with Malaysia. "We deserved the victory today," Vietnam's head coach Park Hang-seo said after the match, stressing that it was not just pure luck that the team has managed to go so far in the competition. "The players an I would like to thank all the fans for supporting us throughout this journey," Park said. 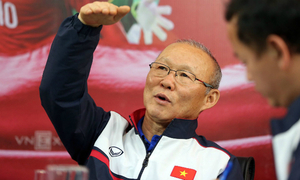 Prime Minister Nguyen Xuan Phuc himself congratulated the team in a letter and wished them "health and sucess to advance to the final." 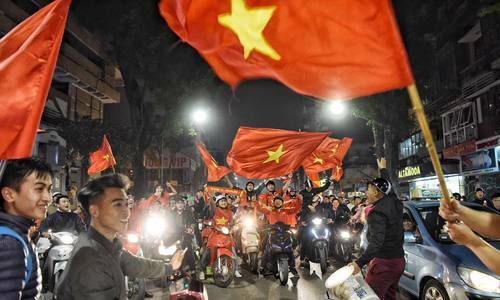 "The Vietnam U23 team has worked hard and gifted the fans an unimaginably crazy match," Tran Quoc Tuan, vice chairman of the Vietnam Football Federation (VFF), told VnExpress. 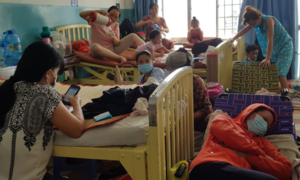 According to Tuan, the Ministry of Culture, Sports and Tourism and the VFF will each reward the team with a VND1 billion ($44,000) bonus for making it so far. 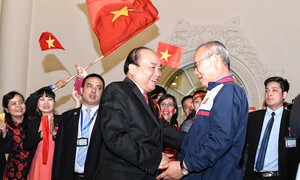 The team wll also receive another VND1.2 billion from three individual fans. 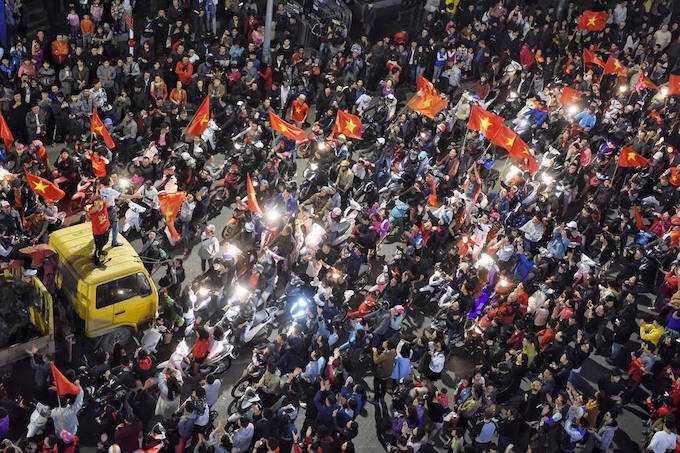 Football fans across the country erupted and took to the streets to celebrate the historic victory, jamming the roads in the process. 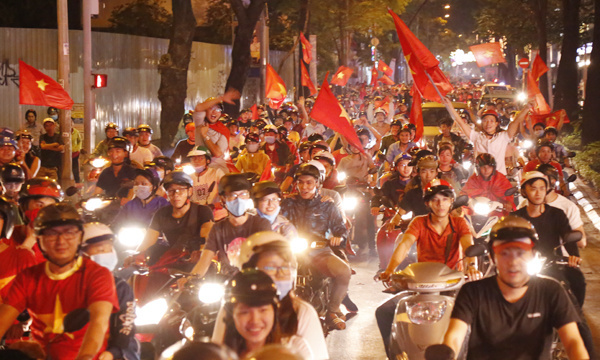 A fan waves the Vietnamese flag in the middle of Hang Bai Street in downtown Hanoi as other fans cheer on their motorbikes. 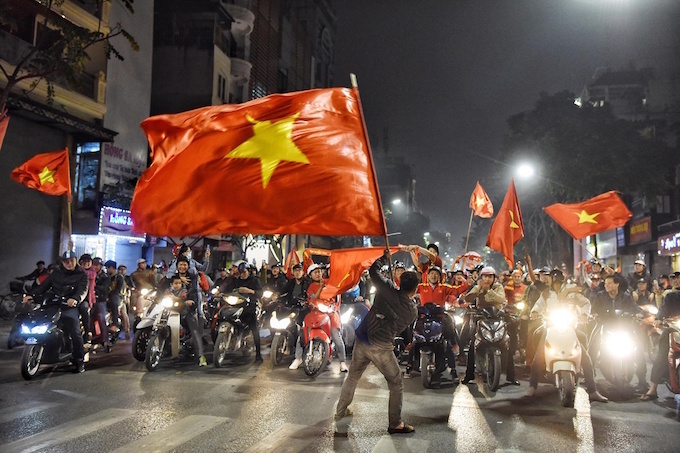 Thousands of fans stormed through barriers around the pedestrian zone at Hoan Kiem Lake to celebrate Vietnam's victory over Iraq in the U23 Asian Cup. 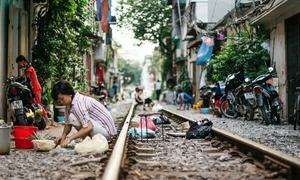 Celebrations around Hoan Kiem Lake were amplified by pots and pans. 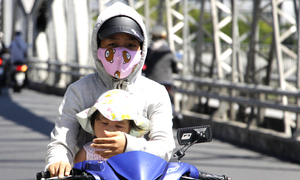 Ho Chi Minh City in the south was also filled with bikers waving Vietnamese flags. Other fans chose to wave flags from their cars. 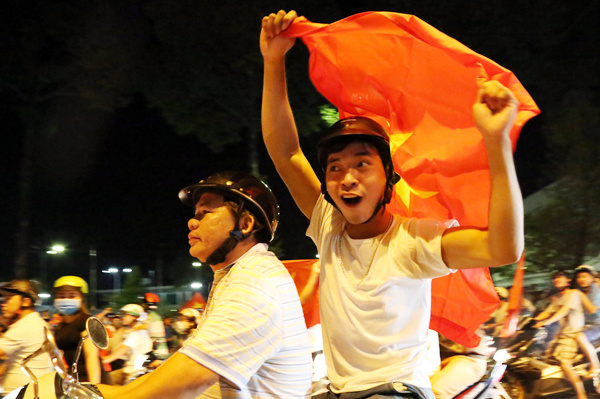 In Dong Nai Province in southern Vietnam, the streets were also wide awake with celebrating fans. 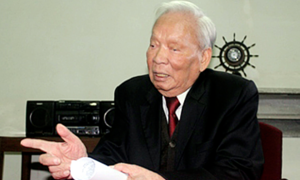 Association football is the most widely loved sport in Vietnam. 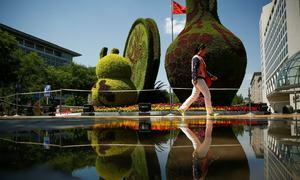 However, the national teams' poor performances in recent years have left many fans frustrated and disappointed.